Have you ever dreamed of owning a new Mitsubishi Lancer or Mitsubishi Outlander Sport right here in Gaithersburg? Now is the time to take advantage of 2019 model year dealership specials. Whatever your vehicle needs are, you can find a popular car, SUV, or motorcycle today at the King Mitsubishi dealership in Gaithersburg, MD. 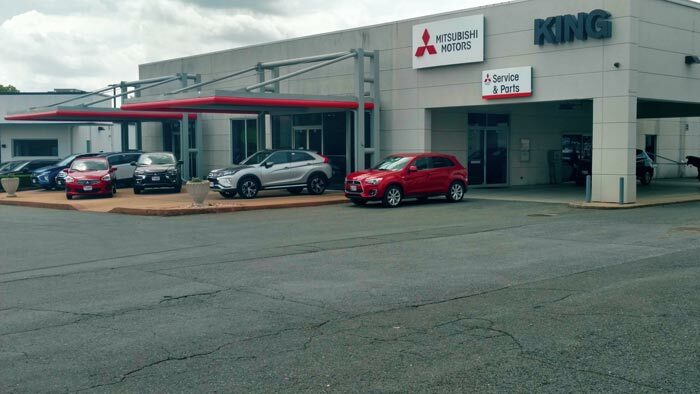 Serving drivers in Gaithersburg and all across Maryland, King Mitsubishi has a wide array of new cars and SUVs available for sale in Gaithersburg. When you are in the market for a new Mitsubishi, our friendly King Mitsubishi dealership staff help you find one that suits your needs and your budget. You can find what you like online, read our dealership reviews or schedule a test drive right here in Gaithersburg so you're ready when you visit King Mitsubishi. We are your local Gaithersburg dealership. What can King Mitsubishi help you with next? Open the last Sunday of each month!